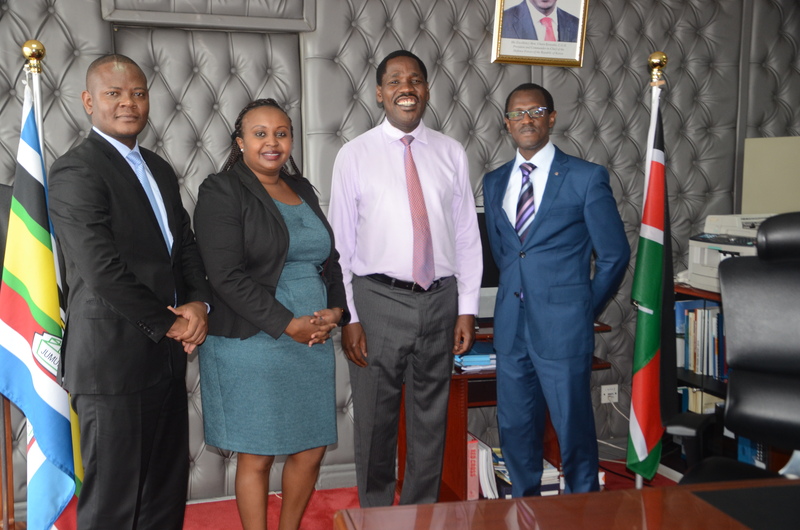 Kenya Law paid a courtesy call to the Cabinet Secretary, Ministry of East African Community and Northern Corridor Development, Hon. Peter G. Munya, MGH on 28th March, 2018. The main objective of the visit was to establish strategic partnership with the Ministry of East African Community and Northern Corridor Development in relation to collection of EAC legislation and eventual publication of the same on Kenya Law’s website. Kenya Law, represented by the CEO/Editor, Mr. Long’et Terer and Mr. Christian Ateka presented to the Cabinet Secretary Complimentary copies of Kenya Law Reports, Pocket-size Constitutions among other products of Kenya Law. 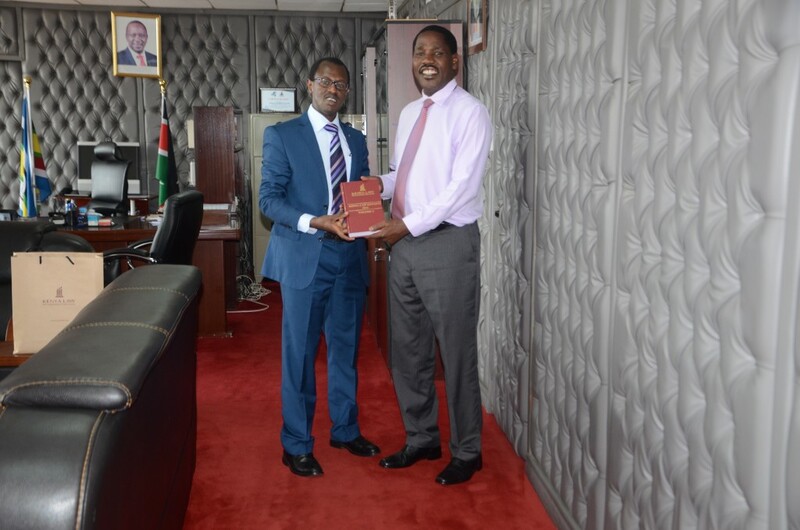 Mr. Long’et Terer presents a copy of Kenya Law Reports, 2014 to Hon. Peter G. Munya, MGH.